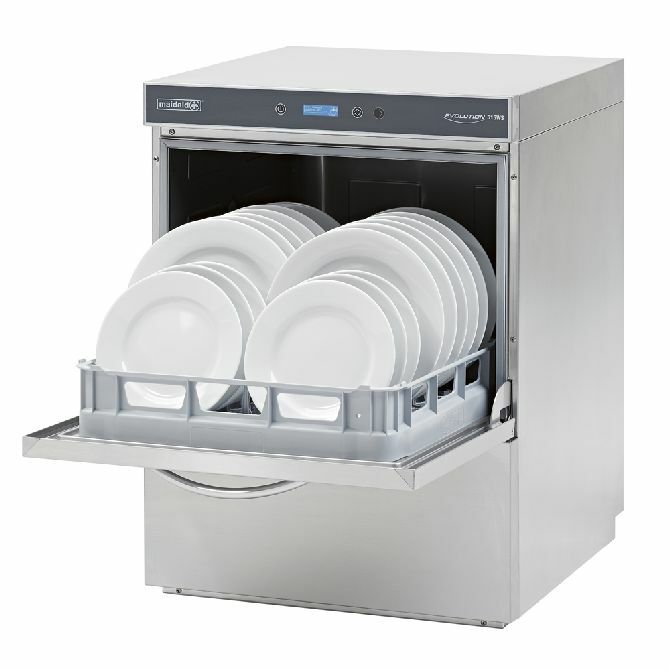 Maidaid EVO511 Premium Range Under Counter Glass/Dishwasher. 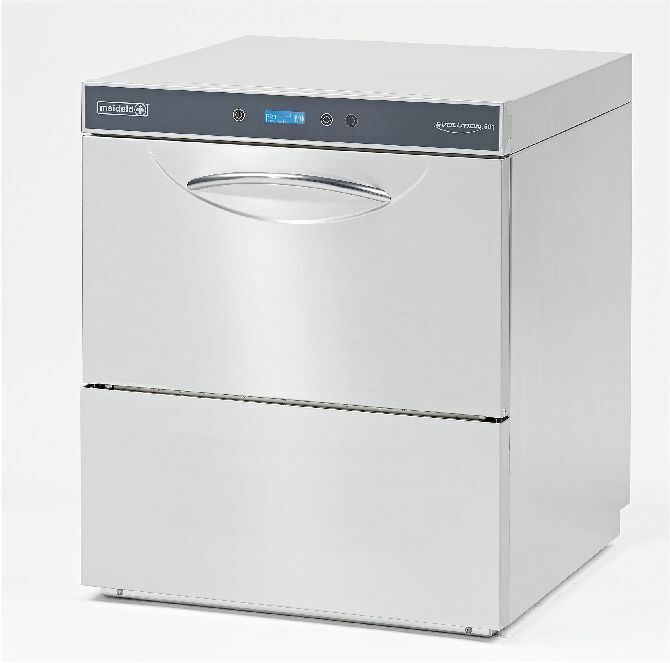 The Maidaid EVO511 under counter dishwasher basket/rack size 500mm x 500mm. Rinse booster pump, Drain pump and type AA breaktank comes as standard. Double skinned cabinet minimises both acoustic output and reduces heat loss. Evo 511 Rack size 500 x 500mm. Dimensions W600 x D605 x H815mm. GLASS cycle automatically changed parameters to suit glass washing. 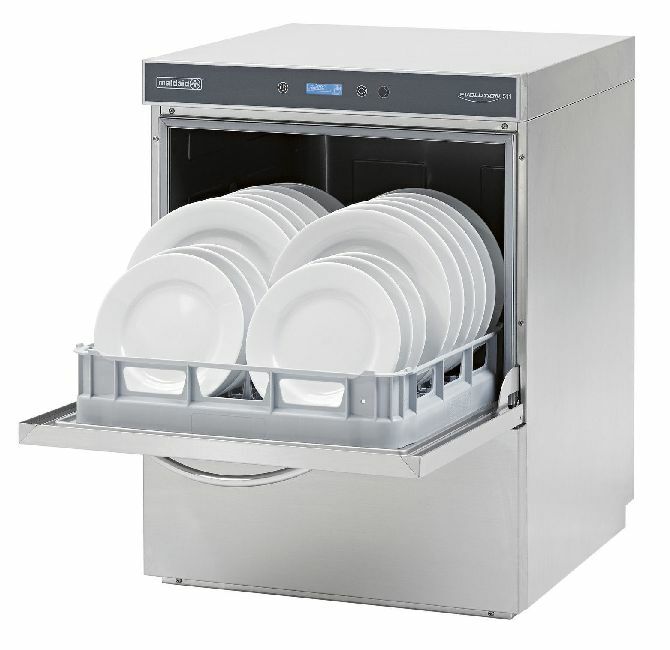 SANITISING cycle balances wash time and temperatures to achieve a standard rating of AO 30. GREEN cycle for economy, reduces water consumption and operates with lower temperatures. 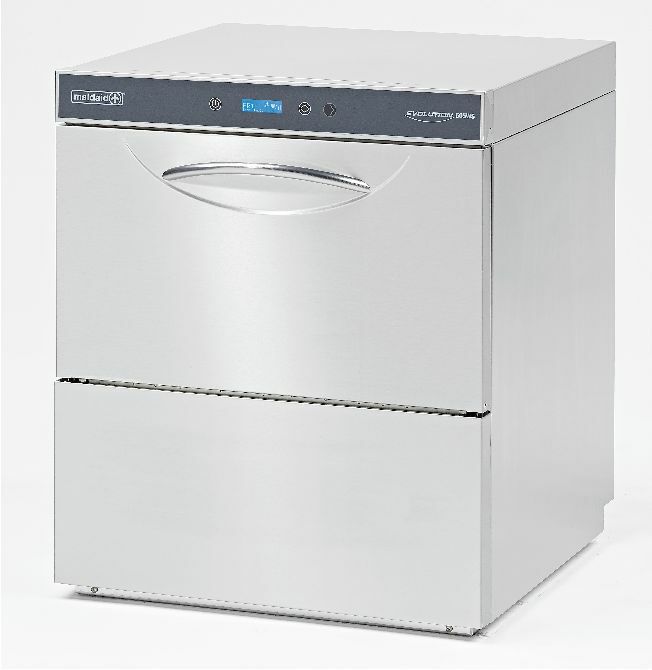 ACT extremely intensive cycle for the dirtiest products by running two complete cycles. Detergent and rinse aid by precise peristaltic pumps. Priming and dosing chemicals enabled from fascia controls. Supplied woth one open, one pegged plate rack & cutlery basket.